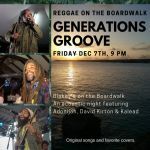 Tonight enjoy Reggae on the Boardwalk as it returns with Generations Groove. 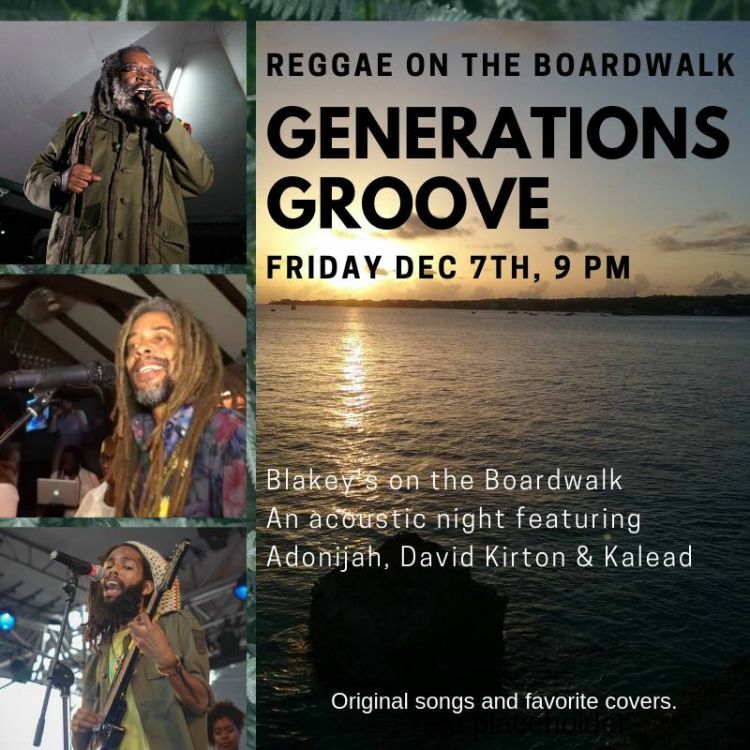 This will be an intimate acoustic set from three of Barbados's Premier Reggae Artists: Adonijah, David Kirton and Kalead. Kirton jamming tunes like Green Camouflage and from his NEW album Mary Jane and Refugee. Adonijah will be performing originals and some favorite tribute songs. Kalead is a new young artist for you to discover. Bar opens at 5:00 pm. Good Food, Good Lime and Good Music. Blakey's is a bar and restaurant at the western end of the Hastings Rocks. You can eat inside (limited seating) or outside next to the boardwalk and under the moon! Which is where the band plays.